Hop on down to Solitaire Easter.com! 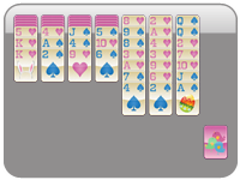 We have the best Easter solitaire on the web! 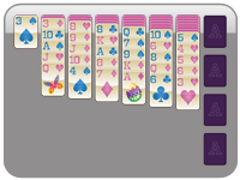 Complete with nine great Easter Solitaire games, including Klondike, Spider Solitaire, Freecell, Yukon, Wasp, and Scorpion Solitaire, you will be coming back all year long to enjoy this beautiful, fun Solitaire game! The most popular Solitaire game is 3 Card Klondike Solitaire, which you will conveniently find on our home page, Solitaire Easter.com. This game is played with a full deck of 52 cards. 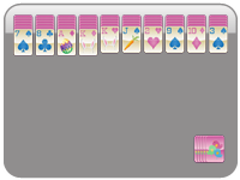 Stack cards in the tableau, alternating card color, and in descending order King through Ace. 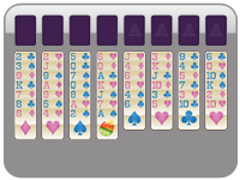 Place cards in the upper card slots in ascending order, according to suit, Ace to King. Only Kings can be placed in empty spots on the tableau. 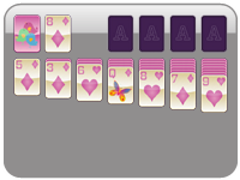 Use the stock cards, which flip three cards at a time, to add cards to the game, and to help you win Solitaire Easter! Solitaire Easter has a new "app-like" layout which allows you to easily select a game in the New Game menu, and see your progress as you gain stars for faster victories. 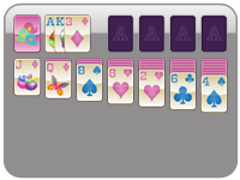 Solitaire Easter.com is unlike any other solitaire site out there. Comming soon to Android, Amazon, Mac, and iTunes stores soon!